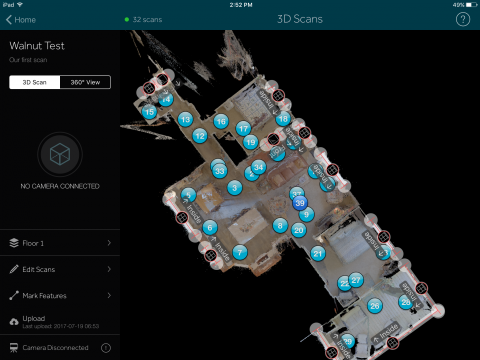 We scanned our own house as our first scan. We are experimenting with different heights and doors open now. We also did a 360 twilight outside. We uploaded the new scans. When it came back, the twilight 360 is not included. This happened twice. What are we doing wrong? To help trouble-shot this, please post"
Will do I'd be so lost without this forum. It doesn't show the 360 scan outside but neither did the other house we scanned but it showed up there. Wondering if we should do one new scan in the house and upload again and see if it shows up. It doesn't look like it took. You should have seen it upload to iPad right after you took it. We shot rescan of the twilight last night as a 360. Uploaded the model and still no twilight 360. 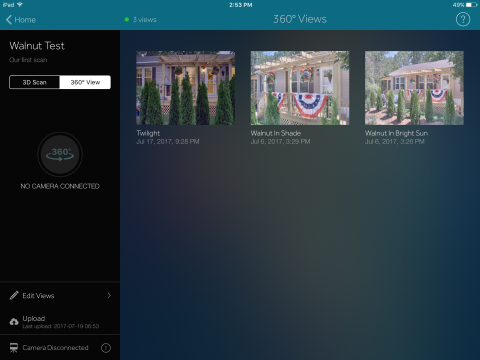 It is in the capture app and we can see the preview. Suggestions? ... and post a video here showing the iPad while doing this? P.S. 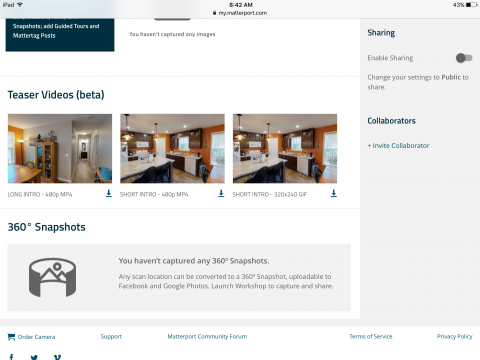 Matterport does not charge for test scans of 1 or 2 scans. You need to activate them in the workshop prior to seeing them in the actual tour. Is this perhaps where you are having trouble? 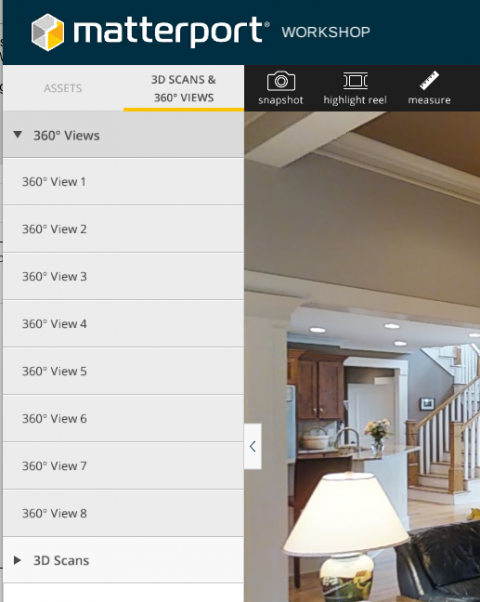 Login to your Matterport cloud, locate the project and open the workshop using the "launch" button. You should be able to see the 360's there and add them to your highlight reel. As I said, we see it in the capture app but not showing up in the workshop. 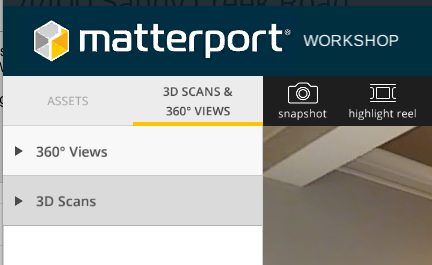 That's not the workshop though... 360 Snapshots are something else than 360 panorama's. Did you press the launch button to open the actual workshop? I could be wrong, but I recall something about the workshop not being compatible with mobile devices. Never tried it myself though. Could you try on a computer? Seems like you are using an i-pad by the look of your screenshot. We have used the iPad several times in workshop mode but it's not working today. Launched on laptop and it was there. Thank you for all your help everybody.